Scan the canopy for wildlife from the comfort of our intimate and exclusive G Lodge Amazon, contemplate mountain vistas or take an optional flight over the Nazca Lines — this epic journey explores the geography, culture, and history of Peru, offering you the perfect blend of guided excursions and free time. 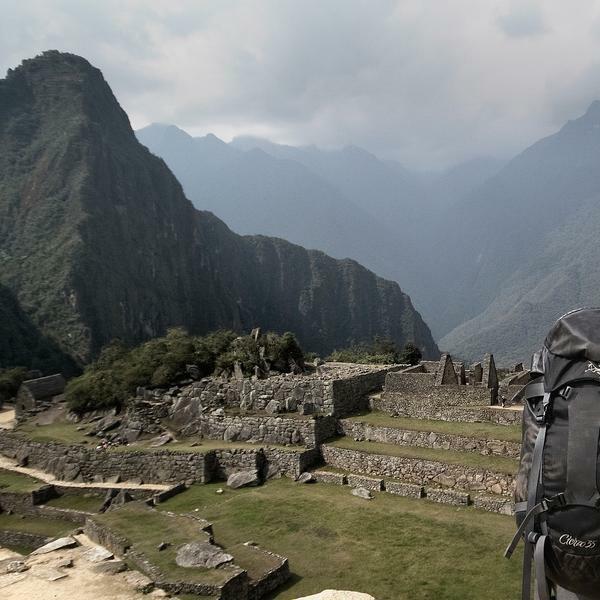 Hike the Inca Trail, which rewards those willing to break a sweat with stunning views of ruins, mountainscapes, and cloud forest. And because we run our own treks, we can ensure the fair treatment of our porters and the quality of food, service, and equipment. Hotels/guesthouses (13 nts), G Lodge Amazon (2 nts), overnight bus (1 nt), homestay (1 nt), camping (3 nts). Public bus, private van, plane, train, boat, canoe. Explore Arequipa, the 'white city'. Interested in history and architecture? Opt to visit to the Santa Catalina Monastery, offering a brief respite from the outside world and a unique view into a bygone way of life. For those spicy food lovers, checking out one of the “Picanterías” is a must. Arequipa holds a variety of regional food— alpaca, shrimp, pork, lots of soups, and spicy sauces waiting for you to dig in. Opt to go mountain biking, whitewater rafting, or relax in a café. Choose to pre-book a Cusco Cooking Class. Enjoy a free day to explore Cusco or relax. Opt to go whitewater rafting, mountain biking or get a massage. 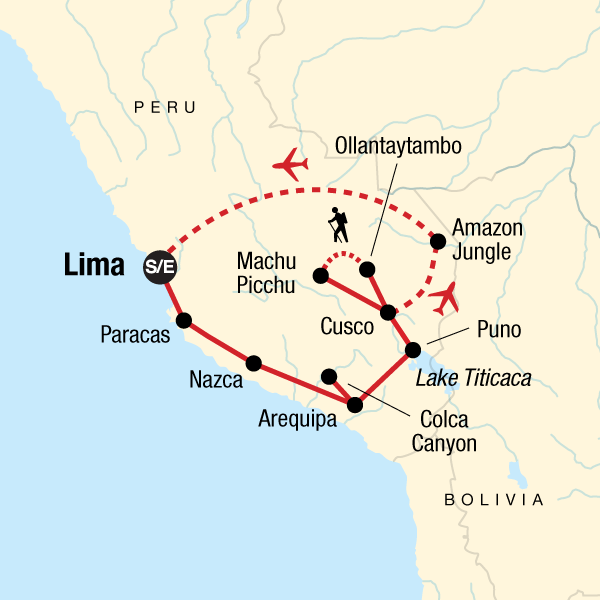 Additional Notes: If you pre-book the Culinary Bundle, you will be picked up from your hotel at approx 12:30 and taken to a local market and restaurant to prepare and enjoy a traditional Peruvian meal. You will return back to your hotel around 16:00. Accommodation: Hotels/guesthouses (13 nts), G Lodge Amazon (2 nts), overnight bus (1 nt), homestay (1 nt), camping (3 nts).